Christian Gálvez is without any doubt, the best latin american bass virtuoso currently playing the international jazz circuit and considered part of the close circle of best worldwide bassist. His sound and style are closely linked to artists like John Patitucci, Stanley Clarke and, of course, the great Jaco Pastorius, influences from which Christian starts to other personal universes, thanks to his original virtuoso style, colorful and musical, where the use of harmony and chords accompaniment at higher level are a key part of his own language; style that comes close to great geniuses of the "chord melody" as Joe Pass, Tal Farlow, George Benson and Pat Martino. Since 2005 he has been working closely with the Argentine guitarist Luis Salinas and has played with great musicians such as drummer Billy Cobham, bassist Stanley Clarke, with which he has worked all over the world. 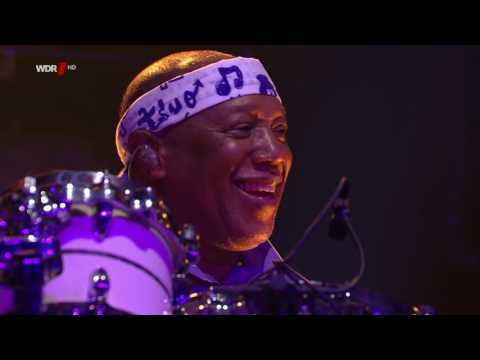 The meeting with Clarke became reality in early 2007, when Christian moved to Los Angeles to join the Stanley Clarke Electric Band, with which he was in tour worldwide during the next three years. Very active as a teacher, Christian founded the Escuela Superior de Jazz de Santiago and plays with his Christian Gálvez Cuarteto in the whole Latin America. He's member of the Masters of Bass together with Gary Willis, Dominique di Piazza and Hadrien Feraud, of the Frank Gambale Quartet and recently of Paolo di Sabatino Trace Elements, alongside with drummers as Peter Erskine, Dennis Chambers and Jojo Mayer. He has recorded 13 albums and 3 DVD with Pez Records label, plus his Concert N. 1 for bass and symphony orchestra (the first concert for bass and orchestra in the world) that Christian already performed live together with the most prestigious orchestras in Chile, Bolivia, Panama at most important festivals of Latin America. The orchestal album was released this year, 2015. “The Bass Multiamp is an incredible and versatile amplifier.”-says Christian- “It is an ideal piece of gear for the kind of music that I’m doing these days. I like to switch from one musical color into another constantly, and I feel comfortable with such a solid technology supporting me. I know that it will not fail at the moment I need it. "I currently use a very special configuration: a Bass Multiamp with two Traveler 102P Markbass cabinets. This provides an amazing precision and definition to my bass lines. Beside this , I have in parallel a DV Mark Multiamp programmed as a clean tube amplifier and a cabinet emulator, plus 2 DV Mark DV Neoclassic 212 cabinets, that provides a high definition jazz sound to my chords. In live concerts, I use them together, switching the main output from one to the other, following the sound requirements of the music I’m playing. The great thing about the Multiamps is that I have the sounds of all my favorites amplifiers and all my effects in just one device… which is simply great! While touring, I use to carry with me the Multiamp and ask for the cabinets. To carry the head is no more heavy than carry a computer bag!" TRACE ELEMENTS - showcase at Markbass factory! Nov. 6, 2017, 7 a.m.
Wednesday November 29th we'll have another Mark World Special Event! TRACE ELEMENTS, featuring Markbass top-artist Christian Galvez on bass, Paolo Di Sabatino on Fender Rhodes and Dennis Chambers on drums.